Noise measurement protocol needlessly complex, failing to identify critical issues with wind turbine noise, Ontario engineer says. Ontario engineer William Palmer has proposed a rigorous, but simple and transparent technique to assess wind turbine noise, that could replace the problematic complex computer models and “black box” algorithms currently used in the Ontario Ministry of the Environment and Climate Change newest protocol to assess wind turbine noise compliance. The method had to consider that an effective monitoring system must take into account more than just averaging sound power levels over a long term. The method recognizes that humans are bothered by the changes and annoying characteristics that occur, as well as long term averages. Others describe this as the need to determine how the special characteristics of sound quality may impact quality of life. To verify this approach, assessments were conducted using the method at two wind power developments in Ontario. In the K2 Wind project, he used MOECC data from testing in early March 2017 at a home within the K2 project. He was able to demonstrate that the MOECC data confirmed that the noise from the turbines surrounding the home had a tonal quality; that means it should require a 5 dB(A) penalty be applied to the other test results. Although the Ministry did not provide calibration files for their sound recordings they did provide in their report their assessment of the sound pressure level for each sample. Using the Electroacoustics Toolbox, and working backwards to set the given sound pressure level for a number of the recordings provided as the calibration level, permitted a “Quasi Calibration” of the Ministry data, and from that a calibrated FFT analysis was made. … Again, it was seen that when the residents described adverse effects in their comments filed with their initiation of recordings, FFT analysis of the sound recordings taken at those times clearly show a tonal condition occurring at about 450 Hz. In the Enbridge project, where Mr. Palmer also conducted testing, he found similar tonal quality to the noise emissions in that project, and confirmed that the noise coming from the turbines is above the approved levels at several locations. For this facility as an example, where the turbines first went into operation in November 2008, and citizen complaints occurred soon after, it has not yet been possible to complete a report to demonstrate compliance. The monitoring is still in progress, over 8 years later, with the turbines continuing in operation, and residents continuing to complain. The hypothesis is that individual samples are not representative due to variation. The annoyance aspects that impact the quality of life of impacted residents are not being assessed. The results reported by Bill Palmer are typical of the community testing being undertaken in many communities near wind turbine projects across Ontario. These findings indicate that the complex processes used by the MOECC and required of wind companies for compliance testing fail to identify key issues that can be quickly identified using much simpler techniques. Meanwhile, the turbines, shown by other methods to be out of compliance, continue to operate. More than 500 residents of the municipality of Nation, about 45 minutes east of Ottawa, met on Wednesday night to learn more, and discuss action on two wind power proposals for their community: a 150-megawatt project by EDF, and a 75-MW project by Leader Resources.Among the speakers was Carmen Krogh, known internationally for her research on the impacts of wind turbine noise emissions on human health. A particular concern for Krogh, she expressed that evening, is the effect of the wind turbine emissions on children. Despite clear guidance from the World Health Organization and other bodies in public health about exposing children to possible harm, Ontario has proceeded to build wind power projects in communities close to homes. Other speakers detailed the environmental impacts of the proposed wind turbine arrays, and commented on the degree of impact on the community for very little benefit. We are not, said Leroux. The community group Save The Nation requested time to make a presentation to Council but was not scheduled to do so now until August 31st; the deadline for wind power proposals under the new process is September 1st, the next day. Questions and comments afterward were a clear demonstration not only that the community is already well informed on this issue, they are passionate about protecting their way of life, the social fabric of Nation, and the agricultural economic base. “This will destroy the Nation, if it happens,” said one gentleman. If the wind power projects are approved said one young farmer, who said he was speaking for others in his demographic of 20s and 30s, it will destroy the local economy and way of life in Nation. “We’re leaving,” he said simply. 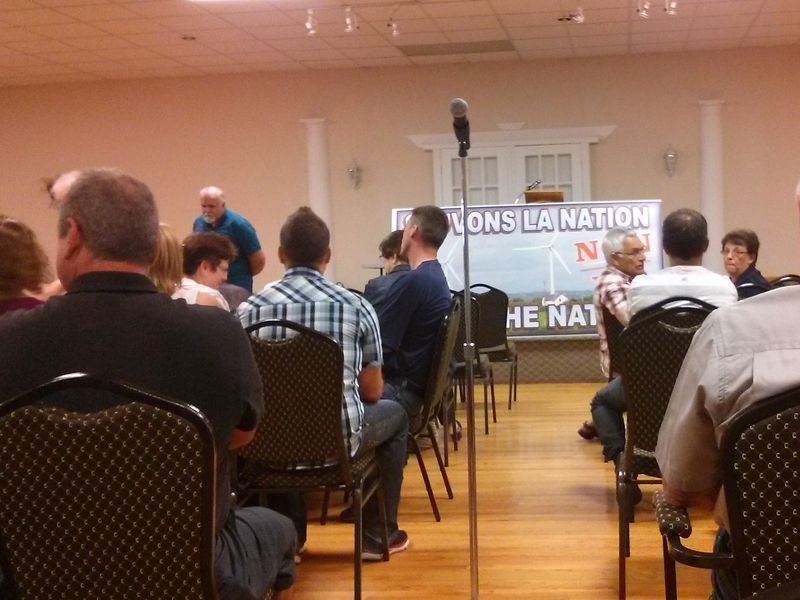 Organizers for the event and members of Save The Nation said that no members of Nation council attended the meeting as far as they knew but MPP Grant Crack’s executive assistant was there. 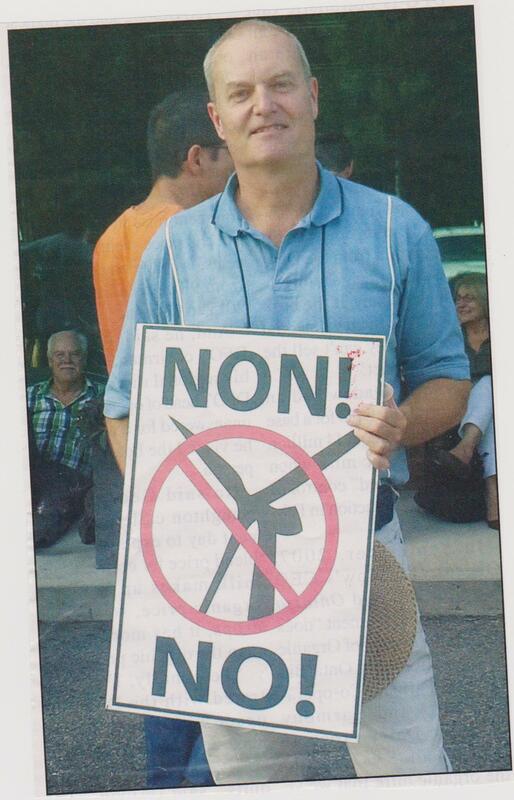 Breaking News: Wind Concerns Ontario has learned that Nation Council will be discussing the community reaction to the wind power proposals on Monday, August 10. As you may know, the Senate in Australia (which is an elected body) has been conducting a review of wind turbines and problems associated with wind power generation in that country for several months. They are very interesting…and refreshing in that here is a body that has listened to both sides, and has concluded there is cause for concern. Of particular interest are these three paragraphs from the report. The Committee quite rightly observed that the decision to leave the family home, and often hundreds of thousands of dollars of investment, to say nothing of farm operations and property, because they HAD TO. The recommendations listed by the Senate Committee include the need for independent clinical research, and continuous independent monitoring of wind power project noise and infrasound (oh, and we need standards and regulations for infrasound–Ontario doesn’t have these and is dragging its feet on this issue)—the Committee also vindicated the effort and methodology of acoustician Stephen Cooper whose Cape Bridgeport study and finding of unique “sensation” resulting from the turbine emissions. Now that we have a government body stating that there is cause for concern, that the wind power industry’s behaviour has been lamentable, and that the way forward is research that is actually intended to find out what’s going on, we ask, who is “irrelevant” now? P.S. The Ontario Sustainable Energy Association is supported significantly by taxpayers. See funding information here. P.P.S. Mr Young now enjoys the position of being the only person blocked from our Twitter feed. 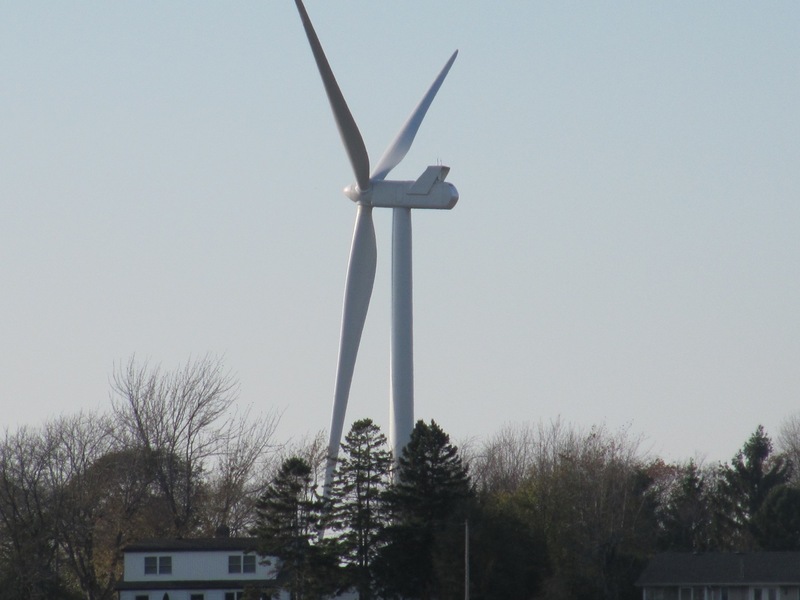 Two information events were held in North Stormont last week; a panel discussion on wind power issues, hosted by the Lions’ Club in Finch on May 6, and in Crysler on May 7, the first Open House on the North Stormont wind “farm” hosted by power developer EDP Renewables. We have already reported on the Lions’ Club event and doubtless the media will be along shortly, too; we have reports from people who attended the EDP event. Apparently, the power developer had brochures available on health and property value impacts. Here is the “other side” on these issues. knowledge gaps prevent a full assessment of health effects of wind turbine noise–proper population studies, especially studies of sensitive populations such as children, have not yet been done. Did EDP Renewables present these facts at their Open House? We’ll keep this short: we’re betting EDP brandished the recent study done by Richard Vyn of the University of Guelph, which is supposed to prove that property values around wind turbines don’t change. Aside from the fact that this is nonsense, and Vyn’s study was poorly structured—that’s not what he says!!! In fact, Vyn cautions the reader that there were significant limitations in how he went about his study and this [his conclusion] does not preclude any negative effects from occurring on individual properties. Read more analysis of the Vyn report at Wind Farm Realities. Here is a story from the Irish Examiner, fitting on St Patrick’s Day. Leading doctors have called on the Government to reduce the noise levels of wind turbines — which they claim are four times that recommended by World Health Organisation (WHO) guidelines. The Irish Doctors’ Environmental Association also said the set-back distance of 500m is not enough, that it should be increased to at least 1,500m. Visiting Research Professor at Queen’s University, Alun Evans and lead clinical consultant at Waterford Regional Hospital Prof Graham Roberts have both expressed concerns over the current noise levels and distance of turbines from homes. Environment Minister Alan Kelly is currently reviewing the wind energy planning guidelines and the group is calling for both issues to be examined closely in the interest of public health. The association has called for the introduction of a maximum noise level of 30 decibels as recommended by the WHO and for the set-back distance from inhabited houses to at least 1,500m from the current 500m. Prof Evans said the construction of wind turbines in Ireland “is being sanctioned too close to human habitation”. “Because of its impulsive, intrusive, and sometimes incessant nature, the noise generated by wind turbines is particularly likely to disturb sleep,” he said. Prof Evans said adults who are sleep-deprived are at risk of a ranges of diseases, particularly “heart attacks, heart failure, and stroke, and to cognitive dysfunction and mental problems”. Prof Evans, attached to the Centre for Public Health at Queen’s, said the Government should exercise a duty of care towards its citizens and exercise the ‘precautionary principle’ which is enshrined in the Lisbon Treaty. “It can achieve this by raising turbine set-back to at least 1500m, in accordance with a growing international consensus,” said Prof Evans. In a statement, the Department of the Environment said that in December 2013 it published draft revisions to the noise, set-back distance, and shadow-flicker aspects of the 2006 Wind Energy Development Guidelines. These draft revisions proposed: 1. 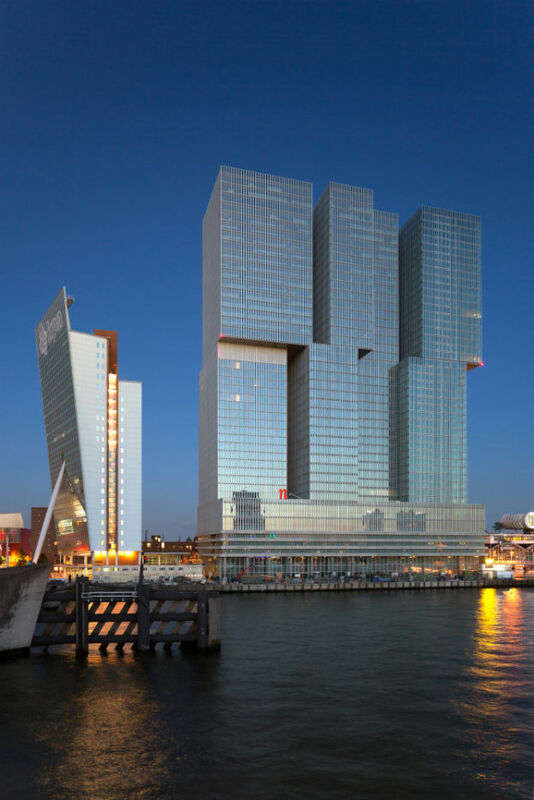 The setting of a more stringent day and night noise limit of 40 decibels for future wind energy developments; 2. A mandatory minimum setback of 500m* between a wind turbine and the nearest dwelling for amenity considerations; 3. The complete elimination of shadow flicker between wind turbines and neighbouring dwellings. A public consultation process was initiated on these proposed revisions to the guidelines, which ran until February 21, 2014. “The department received submissions from 7,500 organisations and members of the public during this period. In this regard, account has to be taken of the extensive response to the public consultation in framing the final guidelines,” the department said in the statement. *Editor’s note: Ontario’s wind turbine noise regulations, which are based on geography and wind power lobby group instruction, not science, work out to 550 meter setbacks. Health Canada’s Wind Turbine Noise and Health study revealed that problems exist at 55 meters, with 25% of people exposed to the turbine noise and low frequency noise being distressed; 16.5% were distressed at 1 km. The Health Canada research results suggest that a setback should be a minimum of 1300 meters, which means Ontario’s existing noise regulations are completely inadequate to protect health. This is a story provided by Wind Watch, which has access to a subscriber-only report from The Australian. People living near wind farms face a greater risk of suffering health complaints caused by the low-frequency noise generated by turbines, a groundbreaking study has found. The study by acoustics expert Steven Cooper is the first in the world in which a wind turbine ­operator had fully co-operated and turned wind turbines off completely during the testing. It opens the way for a full-scale medical trail that may resolve the contentious debate about the health impact of wind farms. Funded by wind farm operator Pacific Hydro, the study was conducted at Cape Bridgewater in southwest Victoria where residents have long complained about headaches, chest pains and sleep loss but have been told it was all in their minds. As part of the study, residents living between 650m and 1.6km of the wind turbines were asked to ­diarise what they were experiencing, including headaches, pressure in the head, ears or chest, ringing in the ears, heart racing or a sensation of heaviness. Their observations were separated into noise, vibration and sensation using a one to five severity scale. Mr Cooper said it was the first time that sensation rather than audible noise had been used as an indicator of residents’ perception of nearby wind turbines. The report found offending sound pressure was present at four distinct phases of turbine operation: starting, maximum power and changing load by more than 20 per cent either up or down. Mr Cooper said the findings were consistent with research into health impacts from early model wind turbines conducted in the US more than 20 years ago. The relationship between turbine operation and sensation demonstrated a “cause and effect”, something Pacific Hydro was not prepared to concede, he said. Survey participant Sonja Crisp, 75, said the first time she experience discomfort from the wind turbines, “it was like a thump in the middle of the chest. David Brooks, from Gullen Range near Goulburn, NSW, said health concerns from wind farm developments were not confined to Cape Bridgewater. The findings should be used as the basis for a thorough health study of the impacts from low frequency noise, he said. “Until this is done, there should be a moratorium on further wind farm developments,” he said. Pacific Hydro and Mr Cooper agree that more widespread testing is needed. Andrew Richards, executive manager external affairs at Pacific Hydro, said: “While we acknowledge the preliminary findings of this report, what they mean at this time is largely unclear. “In our view, the results presented in the report do not demonstrate a correlation that leads to the conclusion that there is a causal link between the existence of ­infrasound frequencies and the ‘sensations’ experienced by the residents.” Mr Cooper said the findings had totally discounted the so-called “nocebo” effect put forward by some public health ­officials, who said symptoms were the result of concerns about the possibility of experiencing them. The Cape Bridgewater study included six residents over eight weeks in three houses. One hearing-impaired participant had been able to identify with 100 per cent accuracy the performance of wind turbines despite not being able to see them. Mr Cooper said residents’ threshold of sensations were experienced at narrow band sound pressure levels of four to five hertz at above 50 decibels. The nominal audible threshold for frequencies of four to five hertz is more than 100 decibels. Mr ­Cooper said an earlier investi­gation into health impacts of wind farms by the South Australian EPA had been flawed by limiting the study to only one-third octave bands and not looking at narrow band analysis. Mr Cooper was not engaged to establish whether there was a link between wind turbine operation and health impacts, “but the findings of my work show there is something there,” he said. Mr Cooper said Pacific Hydro should be commended for allowing the work to proceed. “It is the first time ever in the world that a wind farm has co-­operated with a study including shutting down its operations completely,” he said. Mr Cooper has coined the term Wind Turbine Signature as the basis of the narrow band infrasound components that are evident in other studies. He said the work at Cape Bridgewater had established a methodology that could be repeated very easily all over the world. Pacific Hydro said it had conducted the study to see whether it could establish any link between certain wind conditions or sound levels at Cape Bridgewater and the concerns of the individuals involved in the study. “Steven Cooper shows in his report, for the limited data set, that there is a trend line between discrete infrasound components of the blade pass frequency (and harmonics of the blade pass frequency) and the residents’ sensation observations, based on his narrow band analysis of the results,” Pacific Hydro said. The report has been sent to a range of stakeholders, including government departments, members of parliament, environmental organisations and health bodies. Source: By: GRAHAM LLOYD. From: The Australian. January 21, 2015. See also a story from January 21 in The Standard, here. People living near wind farms face a greater risk of suffering health complaints caused by the low-frequency noise generated by turbines, a groundbreaking study has found. The study by acoustics expert Steven Cooper is the first in the world in which a wind turbine ­operator had fully co-operated and turned wind turbines off completely during the testing. It opens the way for a full-scale medical trail that may resolve the contentious debate about the health impact of wind farms. As part of the study, residents living between 650m and 1.6km of the wind turbines were asked to ­diarise what they were experiencing, including headaches, pressure in the head, ears or chest, ringing in the ears, heart racing or a sensation of heaviness. Their observations were separated into noise, vibration and sensation using a one to five severity scale. The report found offending sound pressure was present at four distinct phases of turbine operation: starting, maximum power and changing load by more than 20 per cent either up or down. Mr Cooper said the findings were consistent with research into health impacts from early model wind turbines conducted in the US more than 20 years ago. David Brooks, from Gullen Range near Goulburn, NSW, said health concerns from wind farm developments were not confined to Cape Bridgewater. The findings should be used as the basis for a thorough health study of the impacts from low frequency noise, he said. “Until this is done, there should be a moratorium on further wind farm developments,” he said. The Cape Bridgewater study included six residents over eight weeks in three houses. One hearing-impaired participant had been able to identify with 100 per cent accuracy the performance of wind turbines despite not being able to see them. Mr Cooper said residents’ threshold of sensations were experienced at narrow band sound pressure levels of four to five hertz at above 50 decibels. The nominal audible threshold for frequencies of four to five hertz is more than 100 decibels. Mr ­Cooper said an earlier investi­gation into health impacts of wind farms by the South Australian EPA had been flawed by limiting the study to only one-third octave bands and not looking at narrow band analysis. “By looking at high sensation and narrow band I have developed a methodology to undertake assessments using narrow band infrasound,” he said. Mr Cooper said Pacific Hydro should be commended for allowing the work to proceed. “It is the first time ever in the world that a wind farm has co-­operated with a study including shutting down its operations completely,” he said. Looks like a great place to live!! A recent study by the University of Guelph, which found wind turbines do not have an impact on nearby property values, might have earned a big sigh of relief from investors – but the study’s results have been strongly criticized by members of the real estate industry. “I have had several deals fall apart in this area because, in the appraisal report, it has been mentioned that there are windmills visible or adjacent to the property and, once a lender gets wind of that (forgive the pun), they will not fund a mortgage,” said Angela Jenkins, a mortgage agent at Dominion Lending Centres, who lives and works in the Melancthon region, where the study was conducted. John Leonard Goodwin, who has been a real estate broker for more than 10 years in the Grand Bend, Ont. market, asserted that wind turbines absolutely do affect property values. “Turbines complicate your property enjoyment, period,” he said. “That alone spells depreciated value(s). “Turbines should be in remote, unpopulated locations. To all the folks who have turbines on their property: Enjoy your $18,000 per turbine per year, because you will be giving most of the lease payments back (in much lower property value) when you sell. Lynn Stein, a sales representative at Hartford and Stein Real Estate, lives and sells real estate in Prince Edward County, where a large-scale wind turbine project is slated to begin. “The turbines that are proposed here are quite large,” she said. “The majority of the population here very clearly doesn’t want them. Read the full story and comments here. The Realtors and financing professionals contacted for this article also did not note that Vyn failed to include expired listings, i.e., properties that were listed for sale, but never sold.